It generally happens every two years. The event may be seen as a natural phenomenon – or maybe rather a cultural phenomenon. I am sure it looks strange if observed from outside the community. A lot of people of all ages and affiliations meet up in places most of us usually did not even know existed, and we have the best week of our work-year. 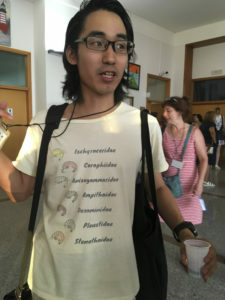 The bi-annual International Colloquium on Amphipoda (ICA) is without doubt the scientific meeting I look most forward to. Every time. 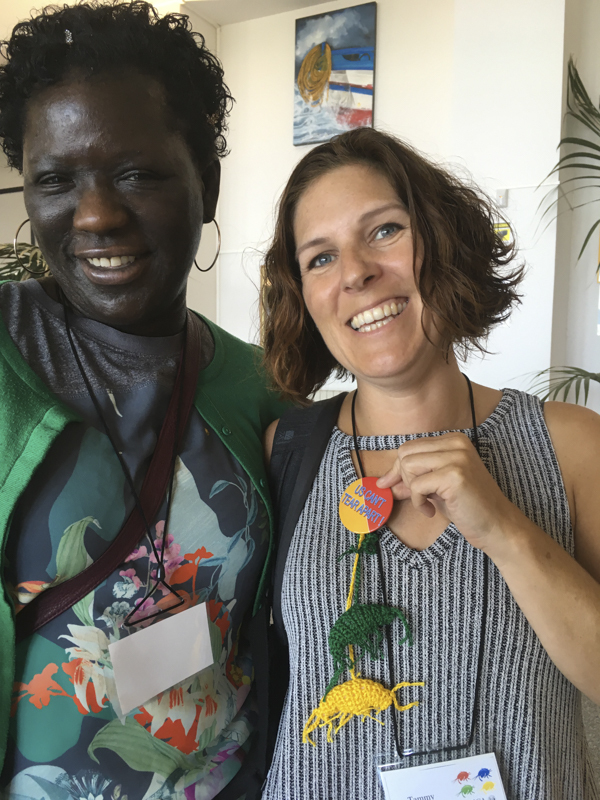 The fun, the science, the amphipods, the friendships, the coffee, the familiar banter, the late nights and early mornings, the discussions – all in an atmosphere of friendship. The first day of any ICA could be mistaken for a family-gathering – or the opening credits of any film about best friends. The room resounds of “oh – finally – there you are!”, “how are the kids/grandkids?”, “I missed you this last hour! Thought maybe you got lost since you weren’t here immediately” and not least “Come, let me give you that hug I promised!” Ten minutes later everybody will be organised by the large Polish group for some gathering or fun – and the rest of us are trying to find out how we can get one of the cool group-t-shirts the Łodz-group have concocted this year. Or maybe we should rather go for one of the other cool t-shirts picturing amphipods? We do talk amphipods, of course. 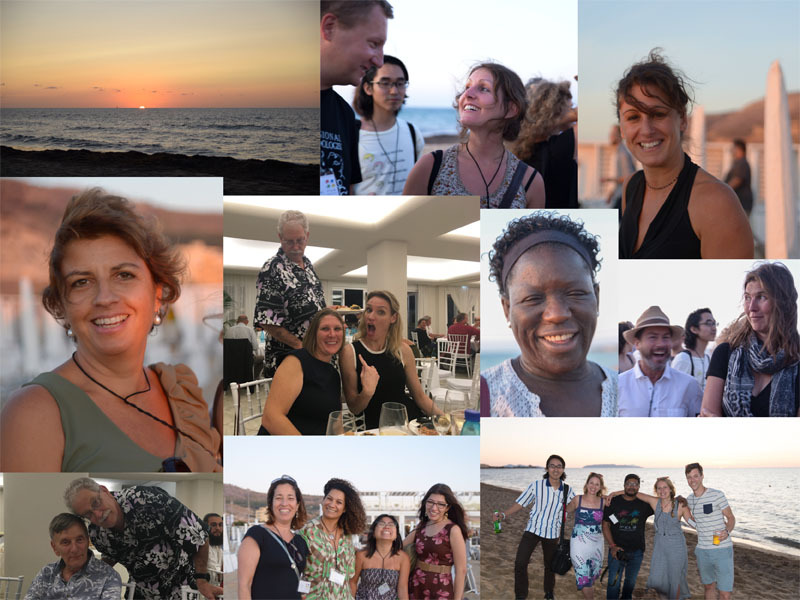 The incredible variety of the group (of animals – as well as people) opens up for a wide spectre of research-questions and approaches, and meetings allow time to learn from each other, get inspired, start new collaborations and share samples and ideas. 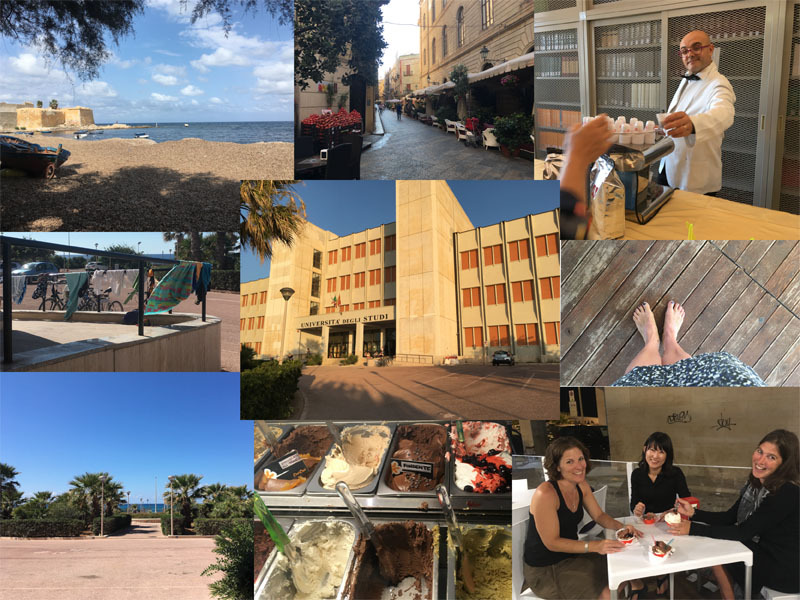 This years ICA was held in Trapani, Sicily – where prof Sabrina LoBrutto on a short one year notice had organised the meeting. 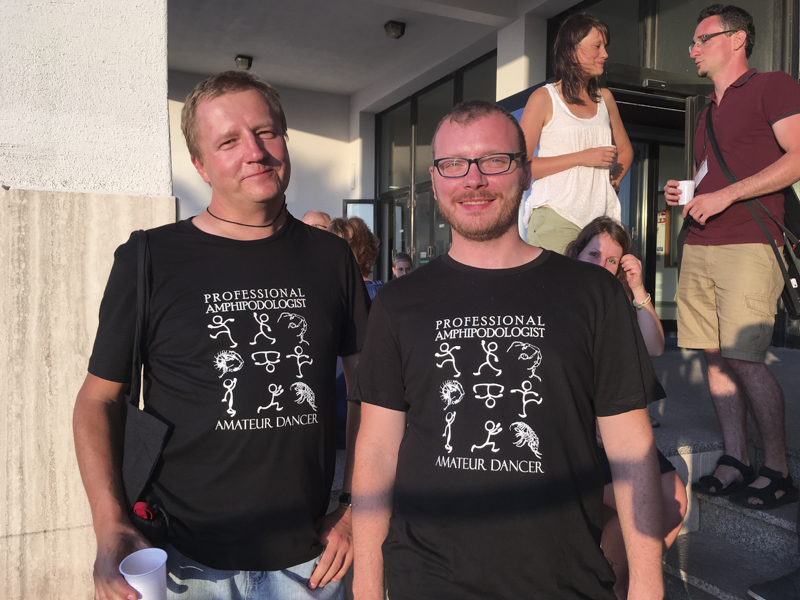 The three days we met were packed with more than 60 talks, more than 60 posters and loads and loads of happy amphidologists. With the University situated right across the road from the beach, and a lunch hour long enough for both a coffee and a swim/sample search the friendly atmosphere stretched to drying towels on the railings of the university-hall and sea-salted hairstyles for many after lunch. We always try to publish the Amphipod Newsletter to coincide with the ICA. You can download the newsletter both from the World Amphipoda Database and the Biodiversity Heritage Library (both places also have back-issues available for downloads). One of the features of the newsletter is a bibliography of amphipod-related literature, and a list of new taxa. Since last AN we have 79 new species, 14 new genera and 12 new families! Every AN includes an interview with one of the amphipodologists – this year you can get to know Wolfgang Zeidler and his Hyperiidea better. The next ICA? In two years we meet in Dijon, France! I am already excited – and maybe there will be mustard-coloured t-shirts in honour of the location (or burgundy-coloured t-shirts)? What I know already, is that it is going to be like meeting family. 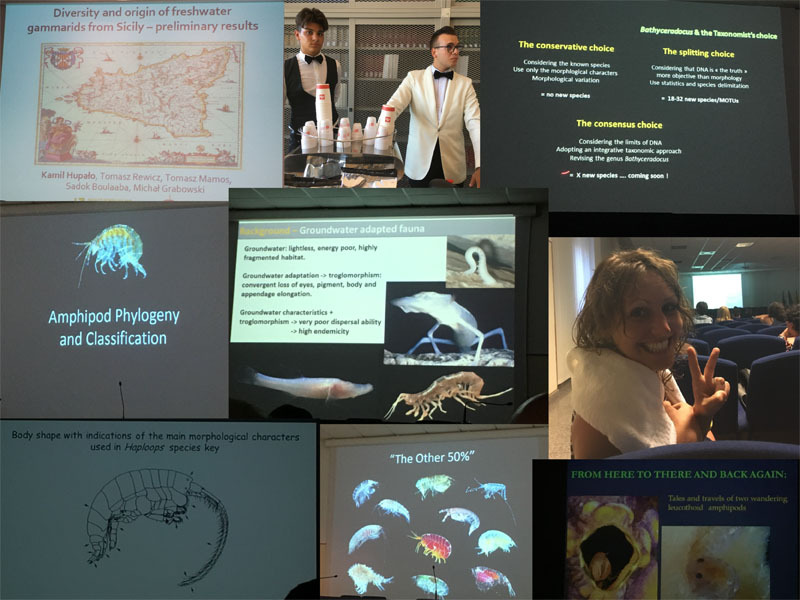 This entry was posted in Conference, Crustacea, NorAmph and tagged Amphipoda, artsprosjekt, barcoding, friday photo, marine invertebrates on September 22, 2017 by pans. Friday Photo: prequel to the 1st International Polychaete Day! 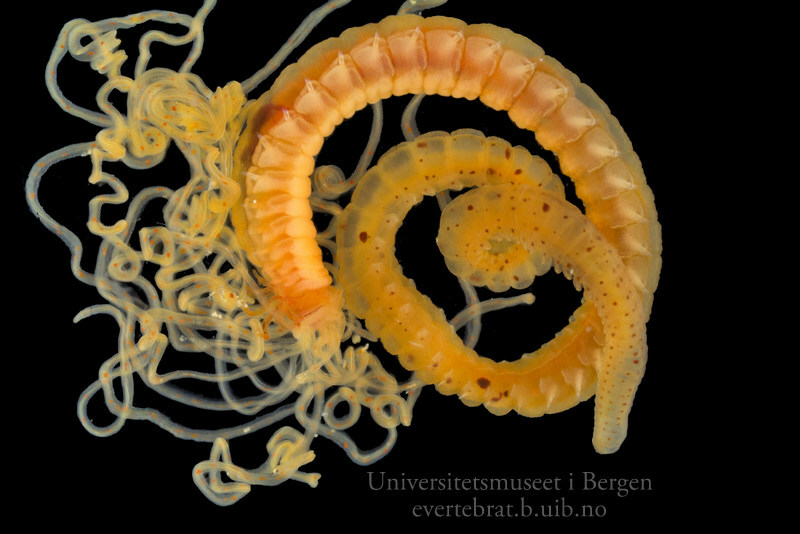 Here’s a “teaser” for the 1st International Polychaete day, which will be celebrated on the 1st of July – be sure to check our blog again then! 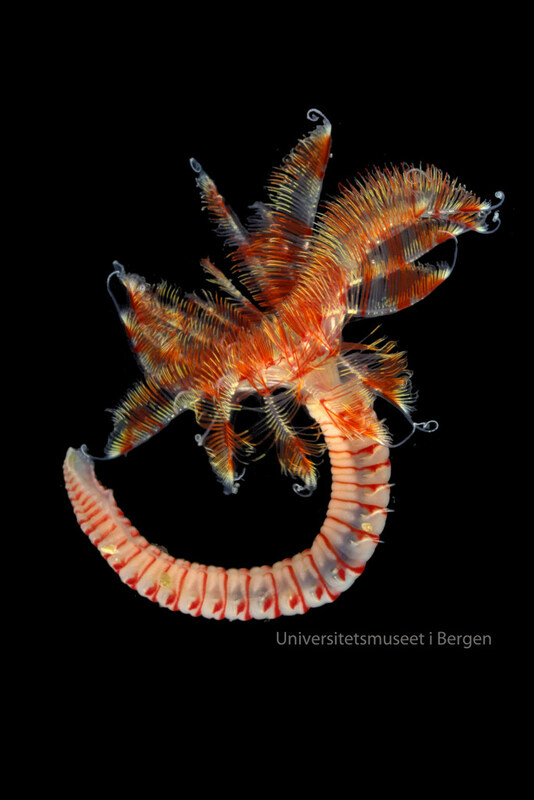 This entry was posted in Photography and tagged 1st International Polychaete day, Arne Nygren, Eulalia tjalfiensis, friday photo, photo, polychaeta on June 19, 2015 by katrine. Friday Photo: A beautiful feather duster worm! 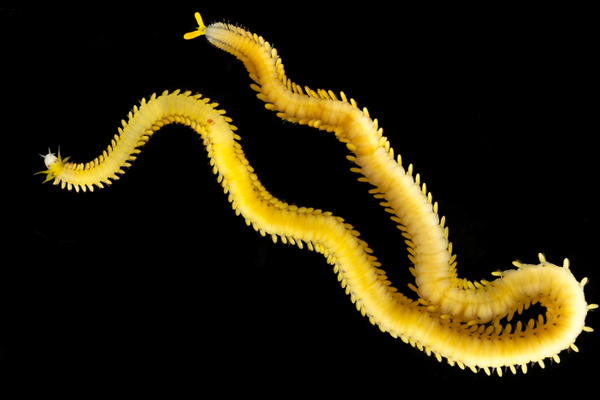 For todays photo we have a real beauty; this bristle worm (Polychaeta) from the family Sabellidae, the feather duster worms! After being emailed this photo, one of our collaborators – who works with the Sabellidae – has identified it to the genus Euchone (Thanks, M.! ). It was collected just outside of Bergen on one of our day trips, and will be included in our ongoing effort to assemble a library of genetic barcodes for all the Norwegian marine invertebrates. This entry was posted in Current projects, NorBOL, Photography, PolyNor and tagged friday photo, polychaeta, sabellidae on May 30, 2014 by katrine. A nice and yellow polychaete just in time for Easter! Thelepus cincinnatus (Fabricius, 1780) collected when we were doing field work just outside Bergen in March. The specimen will be barcoded through NorBOL. This entry was posted in Current projects, NorBOL, Photography and tagged friday photo on April 11, 2014 by katrine. 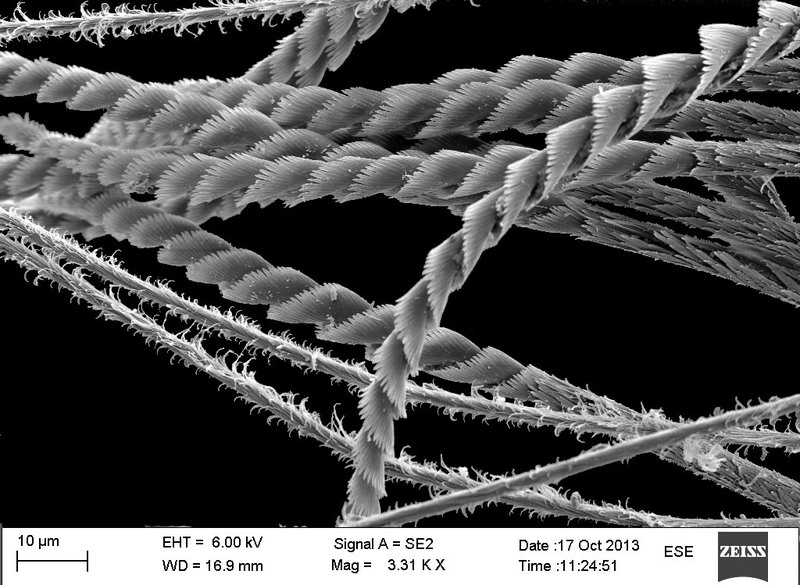 These are the bristles of a polychaete viewed at 3310 times magnification in a scanning electron microscope. So pretty! This entry was posted in Photography and tagged friday photo on November 8, 2013 by katrine.